it can't hurt to be a little over-prepared. Not everyone who was warned got the full brunt of this hurricane, but for those who did, the warnings may well have saved their lives. We who live in the northern part of the state got some rain and wind, but nothing extreme. In the words of a new-ish saying, we dodged a bullet. We didn't lose power. No roads are closed. And today is bright and sunny. Isn't this moss just the greenest green? There was a caller on the state public radio station this morning who remembered the hurricane of 1938; and a series of hurricanes in the 1950s. She said 'these things happen.' I think it is so important to hear her words. Almost everyone broadcasting on the radio and tv is youngish; I'd say in their forties or younger. They don't remember past storms unless they are fairly recent. 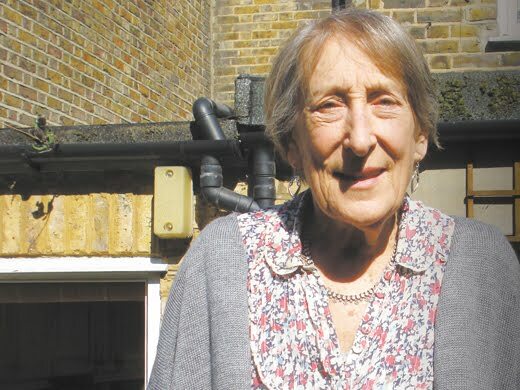 Incidentally, for all you fans of Mrs Bale from the wonderful series, As Time Goes By, I just read an article about Janet Henfrey's current work, which included this great photo. I love a dog; he does nothing for political reasons. used to be a city pig. He did city things. He took taxis. He jogged in the park. He went to museums. Then one day Poppleton got tired of city life. He moved to a small house in a small town. I would love a spot just like this in my own house. After he settles into his new house he meets the neighbors who become friends and are featured in later books. He spends every single Monday at the library reading, and he helps a sick friend swallow a pill. Each of the following books also has three chapters; three glimpses into the life of Poppleton. In Poppleton and Friends, he tries to eat grapefruit because a 'man on TV said grapefruit made people live longer.' He hates it but he perseveres until his lips 'turned outside-in' and his eyes filled with tears. Finally his friend Hudson appears with his uncle, 'a very, very, very old mouse.' 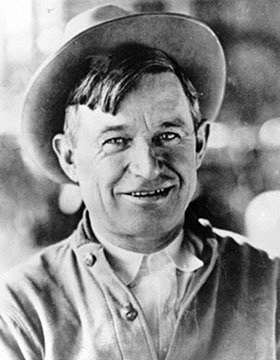 The secret to Uncle Bill's one hundred year old life? 'Friends.' Isn't that a lovely message? "I am not relaxed, Fillmore!" "Well, not all of it." I laughed right out loud when I read this. In the spring, Poppleton does some spring cleaning, and ends up with even more stuff. In the fall, he meets some geese who are flying over and feeds them cookies. In Poppleton Has Fun, he goes to the movies alone, and misses the companionship of a comforting friend. And in the winter, he learns a new use for icicles. The theme of friendship carries through each book. I love 'homey' children's books. The world of the Grimm brothers is not for me, and as much as I've read that fairy tales are a good way for children to deal with frightening things, I didn't like them as a child, and I didn't read them to my own kids. I prefer kindly stories, with gentle lessons. And these Poppleton books suit me perfectly. I just loved them. I got all these books through my library's Interlibrary Loan system. Each book came from a different library in my state, at no cost. What a gift to readers. "Thirty-three teeth. It's almost unheard of. The Lord Buddha also had thirty-three … It's a sign, an indication that you've been born as a bridge to the spirit world." "And you believe all this?" Siri asked as he began to use his tongue to count the teeth in his own mouth. In this second chapter in the life of Siri Paiboun, coroner for the country of Laos in the 1970s, he learns more about who he is, and just why he does have connections with the dead, with the spirits. This mystical connection is a very big part of Siri's life and work. There are kindly spirits, like an old woman who appears eating betel nuts. She doesn't do anything; she is merely there. But then there are the Phibob, really malevolent ghosts who are angry at Siri from the first book. There is a bear on the loose, who is appearently killing people, but which visits Siri while he is in bed, and then just leaves. There's a chest that should not be opened. There are other deaths that Siri must look into. As in all good series, this second book allows the reader to get to know the main characters better which enriches one's appreciation of the book. There is a tremendously strong sense of the Laotian setting, the weather, and the political climate. I am fascinated by these books, and highly recommend the series. Have you heard they came up with updated covers for the Mrs. Malory series? I'm hoping that cute cat will draw many new readers to this really exceptional cozy mystery series. Mrs. Malory is smart, educated, an author of books on 19th century writers, a great mother, a good citizen. And she comes upon crimes, through no intention of her own. When I pick up one of these books, I can feel an inner sigh of contentment. I know what I'm going to find, I know that Mrs. M. is unchanging, though events around her do change. I can fully relax. The author isn't going to kill off her son, or have some horror happen to dear Sheila. Even though Sheila Malory is some years younger than I am, I feel she is a most motherly figure. She works things out so well. She is exceedingly kind to people, and greatly helps them through their problems, all the time being humble and completely free of any self-aggrandizement. This particular book finds her in London after the death of her college friend, a famous writer. She has been appointed the literary executor. As Hazel Holt was the same for Barbara Pym, I expect all those details were, as the British say, 'spot on.' Sheila stays with her cousin Hilda, a delightful character who is brusque and self-contained and who is only beginning to show her softer side in middle-age when she finds herself the owner of a Siamese cat. She and Sheila have very good conversations about the world, both past and present, and they truly enjoy one another's company. The death of her old friend brings Sheila into contact with the friends they knew in common when they were young. Late in the book one of them perfectly describes Sheila. "I always said you were bright. You never had the ability to pursue an argument that Beth had, nor her clear, logical mind, but I remember how you used to make these intuitive leaps that landed you where we both were without going through any of the thought processes. I see you're still at it!" There's an interview with author Hazel Holt, in which she says something so startling, so unusual. I read virtually no fiction published after 1950. Perhaps this is the reason her writing is so timeless, so not trendy. This is a marvelous mystery series with intelligent, literate writing. Hazel Holt in in a league of her own. 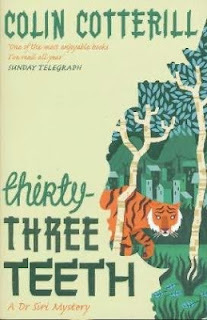 Every time I read a Mrs. Malory book I am so very impressed. I've now read eleven, and when I finish the series, I may go back and read them all again. If you look over on the sidebar under 'Letter Topics,' you'll see one called Muffin Monday. Before today, there were only 11 postings, and the latest one was almost two years ago! I've decided to bring it back, and will post a different muffin recipe as often as I can on Mondays. Today I thought I'd make a recipe which I got it from a Yahoo baking list eleven years ago. In a large mixing bowl, combine the flour, baking powder and salt. Cut in the butter with a pastry blender or a fork or two knives. Combine egg and milk; stir to mix. Add to the flour mixture and mix just until flour is moistened. Spoon into a muffin tin, greased with cooking spray; filling about two-thirds full. Bake at 400º F for 18 to 20 minutes or until lightly browned and tester inserted in center comes out clean. Delicious! They really do taste like biscuits, without the time of rolling out, and cutting. I can't believe I haven't made them for ten years. They are great! Tom and I each ate four for supper along with Chickpea and Bulgur Stew. Mary Oliver on the radio! 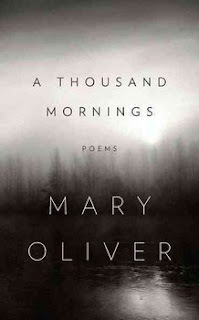 I turned on the radio this morning, and there was an interview with Mary Oliver! You may listen or read it here. Her new book is out, and my copy is on its way from Barnes & Noble. The new Van has been playing in the house for days now. It is called Born To Sing: No Plan B. Here is the title song. To Tom and I, Van Morrison is a music god - a genius poet/singer. the step they will follow, Octobers and years from now. as the taste of chicken wire, the music of cinder block. outlived every single one of her friends. … She didn't like the idea of being a lonely old woman without any friends, without anyone whom she could call by name. only those things she knew she could never outlive. Her car is Betsy. Her chair is Fred. Her bed is Roxanne. Her house is Franklin. "Was yours wearing a collar with its name on it?" When she hangs up the phone, she begins to feel very badly. Wherever it was, no one would know that it was supposed to come to the old woman's gate every day. … The shy brown dog had no collar and no name, and no one would ever be able to know these things about it. The old woman thought a moment. She thought of all the old, dear friends with names whom she had outlived. She saw their smiling faces and remembered their lovely names, and she thought how lucky she had been to have known these friends. She thought what a lucky old woman she was. "My dog's name is Lucky," she told the dogcatcher. The illustrations by Kathryn Brown really capture the kind of person the 'old woman' is. Look at those cowboy boots! May we all grow old with such spirit, and a good, good dog. When I first heard of this book at BooksPlease(note the blog has since moved to this address), I laughed at the title. Somehow the idea of a coroner leaving his morning's work of cutting up corpses and then going off to eat lunch struck me as quite funny. In the five years since, I have kept the book in mind as something I would like to read. There are now eight in the series with a new one coming out next year, and the author has another series featuring a new character and setting, Jimm Juree in Thailand. You may read more at the author's fun website. A few years ago, I was in touch with his wife Jess through blogging but then there weren't posts for a long time, and now I believe she is just on Facebook. Dr. Siri Paiboun is a reluctant coroner. He never trained for such a job, and at 72 years old believed his working days were behind him. The new Communist government in 1976 Laos has different ideas. It essentially believes that the people should work until they can't. Even on occasional weekends he has to do manual labor work for the good of the country. Mostly, he is placid and goes about his business with his two assistants, Nurse Dtui and Geung, a young man who has Down's Syndrome. Siri swears by Geung's good work (especially at sawing) and his terrific memory. This trio makes for a happy workplace, unless they are interfered with by government types. The unusual thing about Siri is that the ghosts of the dead visit him, and in the case of wrongful death help him solve why they were murdered. He isn't terribly disturbed by this, though he puzzles over the reason. A later situation in the book helps to illuminate why he may have the gift. I really loved these mystical features of the book. They flowed naturally without any sense of being forced. They just were. There is a most charming one involving a dog, and a heartfelt one with a late, worried mother. I really enjoyed the Laotian setting, and the time period. This is soon after the US left Vietnam, and the author offers political and historical perspective on both Laos and Vietnam. I know nothing, seriously not anything, about this part of the world. Cotterill brings it alive in a way that almost felt like watching movie scenes. The reader doesn't forget for a moment that this is taking place thirty-six years ago. There are no cell phones. In fact, Siri has never used a regular telephone. There are no computers to help with forensics, and there are precious few opportunities for any kind of test. The morgue at the end of 1976 was hardly better equipped than the meatworks behind the morning market. Most of the results from Siri's morgue relied on archaic color tests: combinations of chemicals or litmus samples. These were more suitable for telling what wasn't rather than what was. Assuming the necessary chemicals were available at Lycée Vientiane's chemistry department, Siri could usually eliminate fifty possible causes of death, but still be left with a hundred and fifty others. Yet the man does an admirable job pursuing the truth in spite of great obstacles. He is one of the most endearing fictional characters I've come upon. This series is often compared with the work of Alexander McCall Smith, and while I tend to shrink from such comparisons, the elements which tie them together are a kindly spirit, a touch of warm humor, and a lack of seediness. In the first book of the series, you aren't going to find the lurid descriptions of death (very often of women or children) that crop up in many mysteries. I so enjoyed reading this book that I stayed up until 3 this morning to finish it. I've already downloaded the state library's e-book of the second in the series, Thirty-Three Teeth. 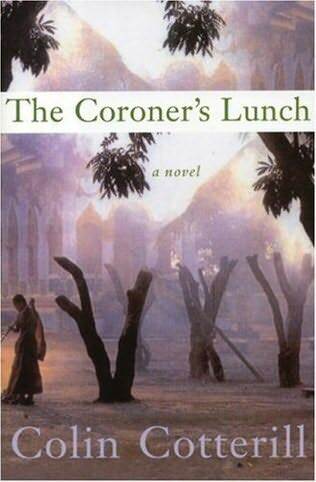 If it is as good as The Coroner's Lunch, I will happily continue on with Dr. Siri Paiboun as he goes about his life. I am a kid in a candy shop when it comes to the library. It is a minor miracle to me that I can just walk in and borrow all these books. I always, always bring home more than I can usually read in three weeks, or even six if I renew. And then of course there are the books I've ILLed. Another minor miracle. You'll notice a few Canadian books for the 6th Canadian Reading Challenge. Raining outside, woodstove going inside - a perfect day for reading. … it is after moist and rainy weather that we notice how great a fall of leaves there has been in the night. This truly is a quick recipe for when you want an apple dessert but don't have a lot of time. Only five ingredients. You can slice the apples while the butter is melting and the oven is preheating. I wish I'd noted when I first made this, as I usually do with a recipe. It isn't even on a card. Just a post-it note. Very faded and worn, so I must have written it down quite a while ago. Stir in melted butter, and sprinkle mixture over apples. Bake around 30 minutes, until top is browned and apples are soft. Crunchy, strong apple taste, delicious.